Hilton has opened its first Polish Doubletree in the city of Lodz. Built on the site of the famous Lodz Film Studio, the property pays homage to the golden age of Polish cinema. Its towering 8,000sq m glass façade depicts a scene from one of the many Polish film masterpieces to have emanated from the ‘Dream Factory’ studios. Once inside, guests continue their journey through cinematic history with guest rooms featuring film motifs, whilst its swimming pool forms a visual tribute to the works of Oscar winning director, Roman Polanski. Eastern Europe seems to be gaining the focus of attention by Emirates, now one of the world’s fastest growing airlines. 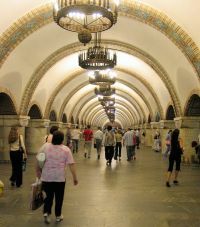 The Dubai-based carrier has unveiled plans for a daily service from its hub to Kiev starting 16 January 2014. It will be the operator’s first route to the Ukraine. Whitbread Plc is to introduce a new hotel concept ‘hub by Premier Inn’. The brand will target major UK city centres such as London and Edinburgh, with the first ‘hub by Premier Inn’ to open next summer on St Martin’s Lane, in the heart of theatreland. Carlson Rezidor has opened the Radisson Blu Hotel, Istanbul Pera. The brand new First Class property featuring 130 rooms is the group's fourth property in the city and brings a modern style and comfort to the ancient Pera Taksim district, a hub for shopping, arts, culture, dining and nightlife. The Minoan Air link from Oxford Airport to Edinburgh and Dublin is to close from 4 August. The announcement came from the airport operator rather than the airline, indicative perhaps of the carrier's marketing problem. Whilst by all accounts it provided a good reliable service it failed to appreciate a requirement for a proper sales and media programme, relying on word of mouth and expecting the three airports concerned to publicise the routes. 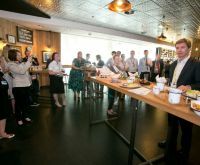 John Bell, the former BBC Radio Transport Correspondent (and travel film maker), was Business Travel News representative to hear Heathrow’s latest solution to the South East Airport dilemma. London Heathrow publishes trinity of solutions for third runway. When Heathrow released its three proposals for a third runway last Wednesday (17 June) Chief Executive, Colin Matthews, said: “After half a century of vigorous debate but little action, it is clear the UK desperately needs a single hub airport with the capacity to provide the links to emerging economies which can boost UK jobs, GDP and trade. It is clear that the best solution for taxpayers, passengers and business is to build on the strength we already have at Heathrow. Today we are showing how that vision can be achieved whilst keeping the impact on local residents to an absolute minimum”. London’s Mayor, Boris Johnson, immediately and perhaps predictably, said the proposals were "disastrous" although the correspondent of The London Times pointed out that the Mayor's own proposals for a new site in North Kent were far more expensive than the Heathrow third runway option and a charter for property speculators. The AAIB stated that the damage coincides with the location of the aircraft’s Honeywell made Emergency Locator Transmitter (ELT) and its associated system wiring which is mounted internally on structure close to the aircraft skin. Detailed examination of the ELT showed indications of disruption to the battery cells, although it is unclear whether combustion in the area of the ELT was initiated by a release of energy within the batteries or by an external mechanism such as an electrical short. Aviation regulators should conduct a safety review of lithium-powered emergency locator beacons in all aircraft types. 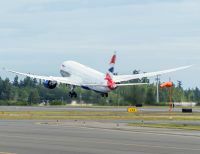 It suggested that the US Federal Aviation Administration ensure the power is turned off in all Honeywell-made ELT systems in Boeing Dreamliners. easyJet’s new policy of differentiating between passengers with 56mm tall cabin bags and those only of 50mm seems to have been very well received. Essentially easyJet plus cardholders, those on ‘Flexi fare’, easyJet plus Upfront or Extra Legroom customers, can continue to bring on board one piece of cabin baggage no bigger than 56x45x25cm including handles and wheels – and use easyJet plus Speedy Boarding to board first in order to secure space in the overhead lockers. Heathrow has appointed dedicated Airporters aboard the shuttle buses in the Long Stay car parks to give parents a helping hand to and from the terminals for the summer holidays. This summer, Heathrow is expecting around 189,000 families to depart from the UK for the school holidays, twice as many in July and August than any other month of the year. Porters will be located on shuttle buses in all long stay car parks until 4 September 2013. The Holiday Inn Express Birmingham City Centre has been rebranded ibis Styles under a franchise arrangement. 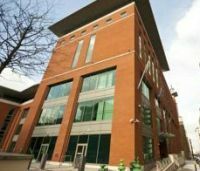 The 120-room property is on Lionel Street just a few minutes walk from Snow Hill Station. German budget hotel chain Motel One says that its second hotel in Edinburgh should be open by December. The four-storey purpose-built 140-bedroom property is in Princes Street directly opposite the famous Rocco Forte Balmoral and Waverley Station. Iberia has introduced its pioneering MyBagTag service and claims to be the world’s first airline to allow passengers to download and print their own luggage tags from its website. 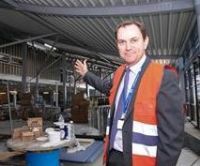 Alistair Welch, the popular Managing Director of Southend Airport, has resigned “to move on to new challenges”. 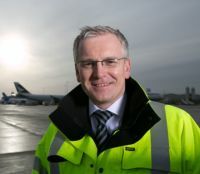 In a statement Andrew Tinkler, CEO, Stobart Group, the airport's owner, said: “I would like to thank Alastair for the contribution that he has made to the development of London Southend Airport, and wish him every success for the future”. The new owner of Stansted, MAG, has set out the Essex airport’s potential for the future and in the short, medium and long-term. They have presented to the Airport Commission a range of options for further study in 2014 and 2015. MAG submission is called ‘Capacity for Growth’. MAG’s owners include the ratepayers of Manchester. 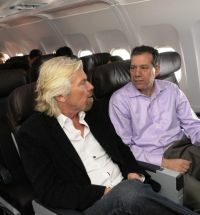 Business Travel News recently reported on Virgin Upper Class to Lagos (BTN 17 June). Therefore it seemed a good idea to take up another Virgin offering 'Little Red' when a visit to Edinburgh from London was planned. London Mayor, Boris Johnson, seems to have had a slight change of mind regarding his preferred future airport option according to The Sunday Times. It seems that Boris, and his advisors, now favour the Lord Foster scheme using mostly redundant land on the Isle of Grain. This has the advantage that it would link in far more easier to both the M25 motorway and High Speed 1 and the Channel Tunnel and is cheaper than his offshore project in the Thames Estuary. 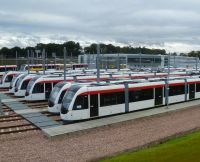 It could be before the year has ended that passengers from Edinburgh Airport to the centre of the city might be using the new tram system. Trials are now taking place along the whole length of the current eight miles of track. The train units have been delivered. 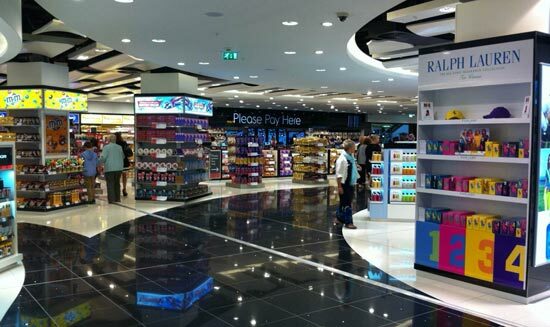 With the European summer holiday season upon us Gatwick Airport has revealed plans for ten new and refreshed stores to open in the South Terminal including two airport firsts: Aspinal of London and Ernest Jones. A new 6,500sq ft Harrods fashion store is set to open on 1 August. 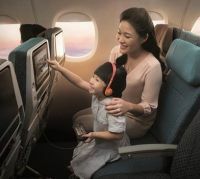 Customers will soon be able to experience the next generation KrisWorld, said to be the world’s most advanced in-flight entertainment system, on new Boeing 777-300ERs entering Singapore Airlines’ fleet in the coming months. 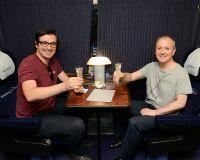 First Great Western had a very special gift in store for passengers of the sleeper services when the Night Riviera celebrated its 30th birthday last week. Introduced in its present form on 11 July 1983, the sleeper service, running in both directions between London Paddington and Penzance, has gone from strength to strength. First it was visiting the cinema, then it was eating out in a restaurant, now going solo on holiday is fast becoming not only more acceptable but also the preferred option for many women. 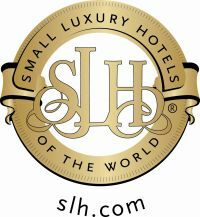 The number of females travelling alone is on the rise according to figures from specialist international marketing organisation Small Luxury Hotels of the World (SLH), which has seen interesting trends in sole occupancy across the breadth of its diverse portfolio. Manchester Airport has officially opened what it calls ‘The Food Quarter’ in Terminal 1, as used by easyJet, Aer Lingus and Turkish Airlines amongst others.